MASIS the “Mobility And Support Information Service”. As a charity MASIS group promotes the importance of INCLUSION for disabled people, carers and their families. 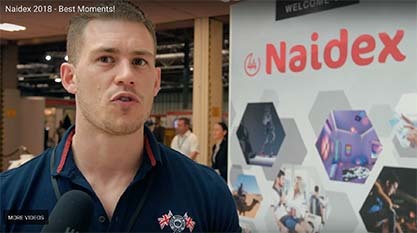 If involved with HEALTH, SERVICE PROVIDING or a MANUFACTURING COMPANY associated with the healthcare sector and want to exhibit at NAIDEX for the first time, MASIS would welcome you as a member of its ‘INCLUSION VILLAGE’ at Naidex 2019 at the NEC Birmingham in March 2019. A 10% DISCOUNT on floor stand space will be available if referred by MASIS. PLEASE e-mail info@masis.org.uk for further information.